And the verdict is that it is in fact a crewneck. I got this in a size 6 because I like a tighter fitting t-shirt. It was still roomy enough that it was long and had some space in the midsection but the neck was more of a scoop on me. What I love about the single tone Modern V-necks and crew necks are the longer sleeves and the extra seam details on the sides which really accentuates the waist. I also like the contrast seam down the middle of the back but I know that’s not a popular feature for some. "Better Pictures of The Savasana Wrap in Lolo"
I was really hoping it would be a V neck. Do you think this is worth the price? I have never gotten anything that is a non technical piece from Lulu. I always think if its just cotton and I can get any other brand that is much cheaper. i think its well worth the money. i have 2 pimas for over a year and they look brand new. 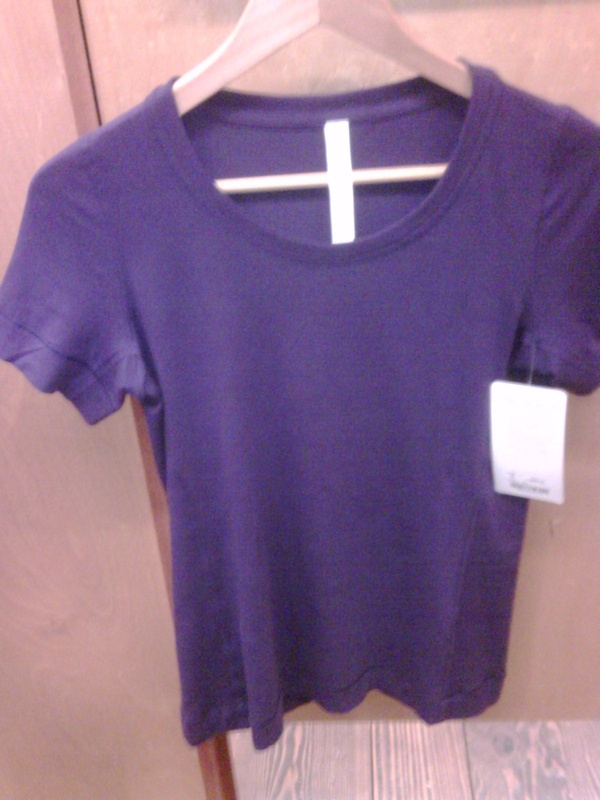 any other cotton tshirt i have ever owned stretches out or shrinks after 1 or 2 wears. Im so excited to get this! and a black one i also hope they release more solid colors. Thanks for the details ladies. Since its in lolo then I better try it. So would you recommend to size down? Personally I think they are well worth the price. Any non technical t-shirts I've gotten from other stores (aritiza, gap, old navy, jacob), no matter how nice and soft they look they end up getting pretty ratty tatty after a few washes. these stay true, don't pill and wash nicely. $50 is expensive but if your buying a bunch of $15-$20 t's that you need to keep replacing than I think the $50 is a better bargain. I saw one in charcoal. very nice. I have the v neck version in charcoal and it's my favourite one. I wonder if they will release this color in the long sleeve pima version, that would be gorgeous! oh, I may have to get this…I take a 6 in the pima T and have plenty of room in it…do you recommend sizing down in this case? or is the sizing similar to the pima? I do recommend sizing down in it. Especially if your size 6 pima is roomy. These are roomier than the old Pima's. Yay for the Journey find. Happy Birthday to you! !